Since childhood I have sensed the possibility of connecting with a reality beyond what was presented to me in society or at school. As a child it was something I felt in nature, or even just daydreaming in my bedroom. With Yoga I found another path deeper into myself and beyond the surface of my external world. I’m grateful to my mother who, when I was just 13, encouraged me to take yoga classes with a local teacher. 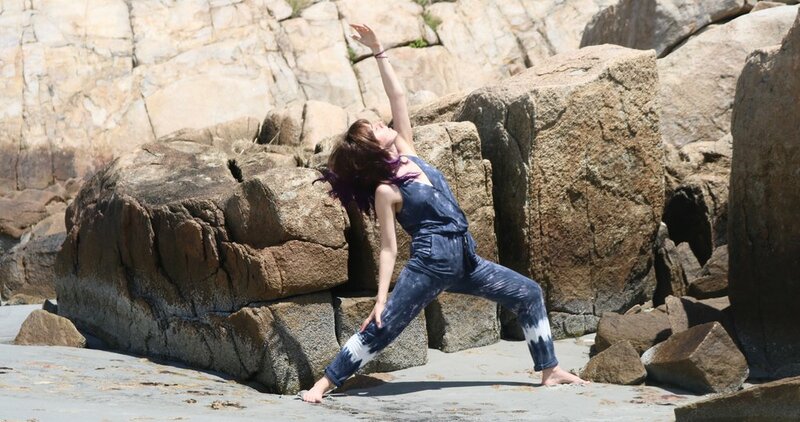 I remember one of my first times leaving a yoga class and simultaneously feeling a sense of deep connection to myself and the earth beneath me while also feeling a sense of lightness and internal spaciousness. These were some of my first experiences scratching the surface of what some say is the ultimate goal of yoga and meditation: oneness, union, bliss. Now it is my passion to share this bliss with as many people as I possibly can! I teach regularly at AllYoga NYC in Ridgewood, NY, at International High School in Union Square, and I guide meditation at NYU in the Silver Mindfulness Collective! Certifications: 200 hour Kripalu Yoga Teacher, Yin Yoga Teacher, Divine Sleep Yoga Nidra guide, Guiding Meditation for Transformational Yoga Teaching. Receive private yoga and meditation instruction!